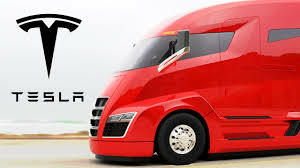 Elon Musk has rolled out the Tesla electric semi-truck and – no surprise – it’s supercool. 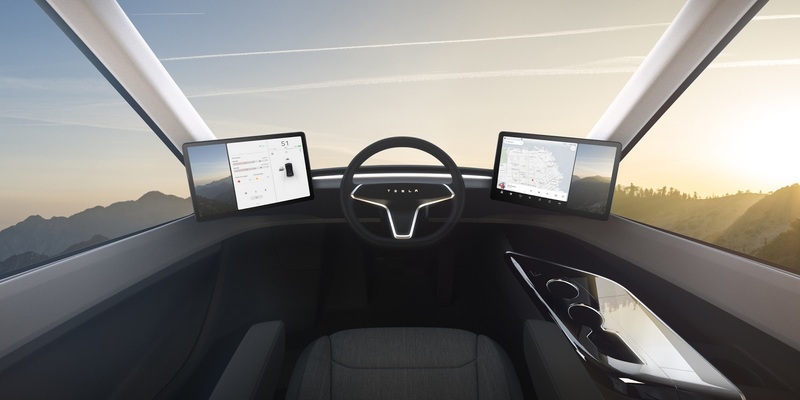 This baby is streamlined, loaded with safety and automation features, able to travel 500 miles fully-loaded on a single charge, and capable of going from 0 to 60 mph in 20 seconds (also fully-loaded). Thanks to Elon Musk for showcasing this critical new technology! 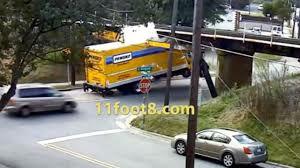 Call it schadenfreude or voyeurism or something else, but it’s hard to resist watching the videos of truck after truck crashing into the low railroad overpass in Durham, North Carolina, captured for posterity on the amazing website 11foot8.com. For those who haven’t watched, the website has two fixed cameras that record the occurrence of trucks failing to obey the flashing lights and clearly posted height limit and slicing off the top of their truck and/or getting stuck by running straight into the bridge. This happens on average about once a month. A lot of the trucks seem to be rentals, so I guess that unfamiliarity with the vehicle is some sort of excuse (although when I’m in a rented vehicle I tend to be super-cautious and observant). I don’t know what lessons can be drawn from this crazy place, but it sure reminds us that the human element is always unpredictable. Following on the heels of the Department of Energy report on how to implement a network of Fast Chargers for electric vehicles in this country (see my posting here), the agency has published a new study detailing the research and development needed to get to the next generation of chargers: Extreme Fast Chargers (Enabling Fast Charging: A Technology Gap Assessment, available here). The authors define Extreme Fast Charging as technology that would charge an EV in less than 10 minutes with enough “juice” to go 200 miles. This rate of charging (roughly 20 miles of range for every minute of charging) is far better than the current best technology (Tesla Superchargers can give you up to 5.6 miles per minute). At this rate, long-distance EV travel would no longer impose a time penalty, compared to internal combustion vehicles. And we Americans do obsess about our time! As you might expect, there are lots of engineering problems involved in designing and deploying an Extreme Fast Charging system. The report lays out all the problems in detail (be prepared to go deep into the scratchy weeds) with a focus on batteries, vehicles, and infrastructure. 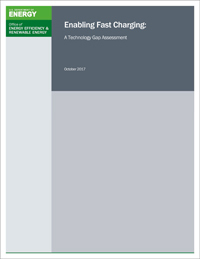 With regard to infrastructure – my usual space – the report says that “there is a distinct need to understand how fast charging up to 400 kW will impact the electrical grid, the design of EVSE [chargers], impacts brought by demand charges, and XFC-related infrastructure costs.” In other words, plenty of R&D work to be done. Lots of room for TRB papers! I am happy to report, as a member of the supporting cast in the drama, that the proposed widening of I-94 in the East-West Corridor of Milwaukee has been stopped (story here). The proximate cause is no funding. The deeper cause is that it was a project that would have caused far more damage – at a huge cost – than any benefit it might have brought, and consequently stirred up a vigorous opposition. Really, folks, crashing a freeway widening through the middle of a city is no longer considered a responsible way to promote mobility and accessibility. Now, I-94 has plenty of physical condition and geometric problems and Milwaukee’s East-West Corridor is definitely congested. And in fact the team opposing the widening, led by WISPIRG, proposed a very responsible alternative, based on a paper I did entitled “The Rehab/Transit Option: A Better Solution for Milwaukee’s East-West Corridor” (available here). As the name implies, the recommendation is to fix the physical condition problems and isolated safety problems on I-94, while beginning to invest heavily in transit in the corridor. Milwaukee is one of the largest cities in the U. S. with no rapid transit. Time to reboot! FYI, my other reports on the subject addressed the problems on I-94 (“WisDOT’s East-West Corridor Project: 20th century solutions to 21st century problems”) and the economic development potential that first-rate transit can unlock at major activity centers in the corridor (“Milwaukee’s Corridor to the Future: Creating a new paradigm for transportation and development in the 21st century”). Congrats to WISPIRG and all the coalition members for stopping a bad project. Lots more work to do to get the right solution going!